Hoy marca 3 años desde que visite Salvador, Bahia. Como vuela el tiempo! Lo magnifico de nuestros cerebros es como guardamos memorias de momentos lindos de nuestras vidas. The amazing thing about our brain is how we have the capability to retain memories of beautiful moments in our lives. Some experiences are so impactful that memories stay vivid to the point where you remember emotions, smells, colors, sights, words, as if it was something that had just happened yesterday. Many moments from my time in Salvador are still very vivid in my memory. While I absolutely loved living in Rio de Janeiro, being able to experience Salvador introduced me to a whole other side of Brazil which could only be experienced in that region. In my short time there (3 weeks total) I learned so much about the African influence in Brazil. From the food, to the music, to the dancing, to the love of Baihan@s, to the unique accents, and the important history. Agora, tempo para lembrar meus favoritos lugares e memorias do Salvador de Bahia! Pelourinho (a.k.a. 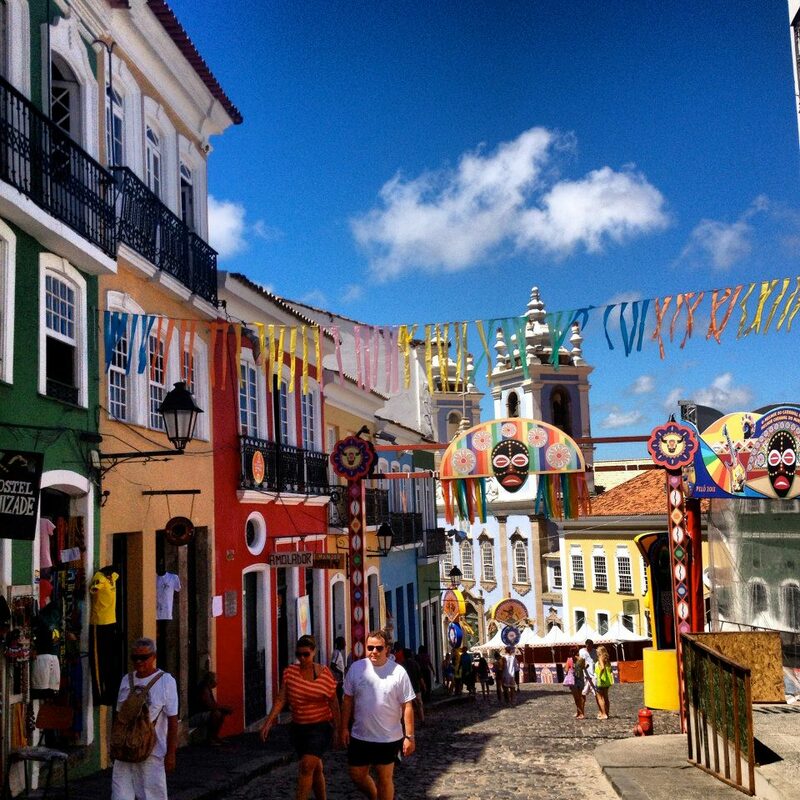 Pelo) is the historic center of Salvador, Bahia. It was the first colonial capital in Brazil and the first geographical location in South America to open a slave market. 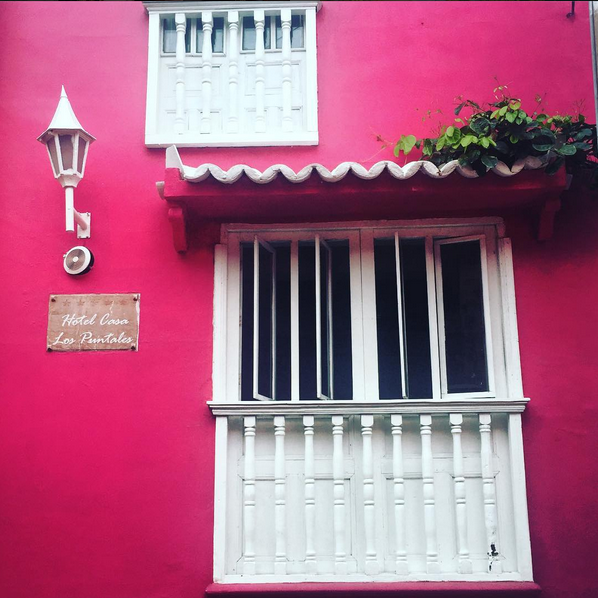 Walking around Pelo was like being in a different moment in time. Its colonial structures still stand and the streets are made of cobble stone. It is bright, vibrant, loud, and alive. During the day time there are numerous restaurants, shops, art galleries, and museums that you can check out. The museums are small but hold a lot of historical information which will help you understand the importance of the location you are at. My favorite museum was one which focused on the Orixas. Orixas are African Gods which represent strong points of nature and endeavors of humanity. Just to name a few; Ogun is the God of iron, war, and labor; Shango rules over fire, lightning, thunder and fire; Oya is the ruler of the winds; Oshun rules over the streams, rivers, and embodies love and fertility; and Iemanja (Yemoja) is the ruler of the ocean, waves, and the mother of all Orishas. There are about 400 Orixas in total. As you walk around Pelo, you will notice how important Orixas and Candomblé (religion which workships Orixas) are in this region of Brazil. 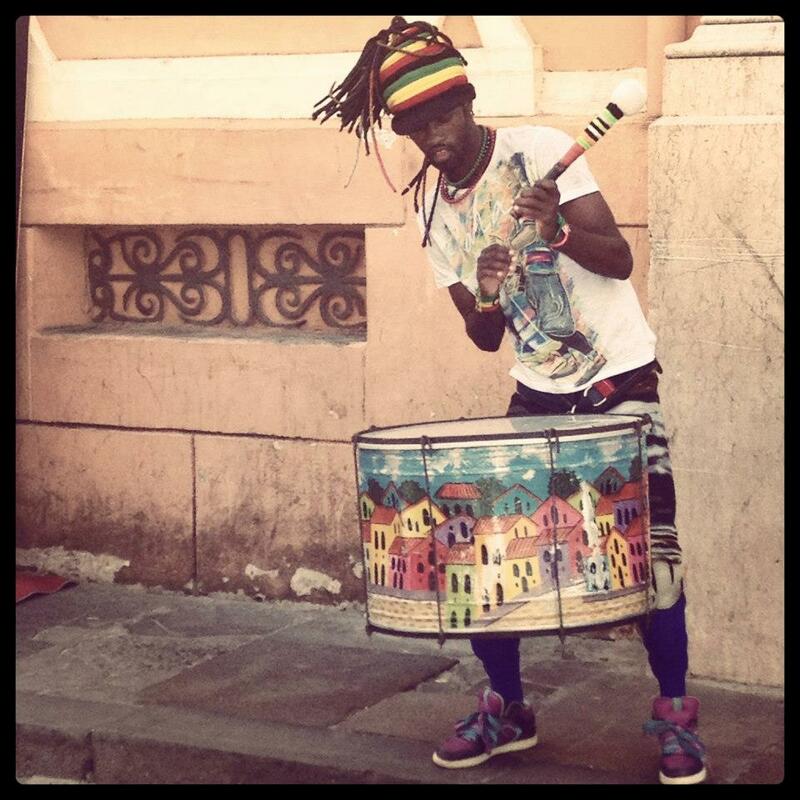 Pelo also offers a great nightlife scene with all types of places playing Samba, Axé, Afrobeat, and Baile Funk. If you are lucky you can catch a live music show! Here is a beautiful version of the popular Samba "Brazil Pandeiro," with the scene in the screen still filmed in Pelo. Chapada, Chapada, minha linda Chapada Diamantina. This beautiful national park is located 8 hours east of Salvador. There are many buses you can take from Salvador's terminal which will take you straight to Chapada. There are absolutely no words to describe the beauty of nature that can be seen at that place. The town of Chapada itself is very small and easy to get around in. We were not there for too long but were able to see different locations through a guided tour. 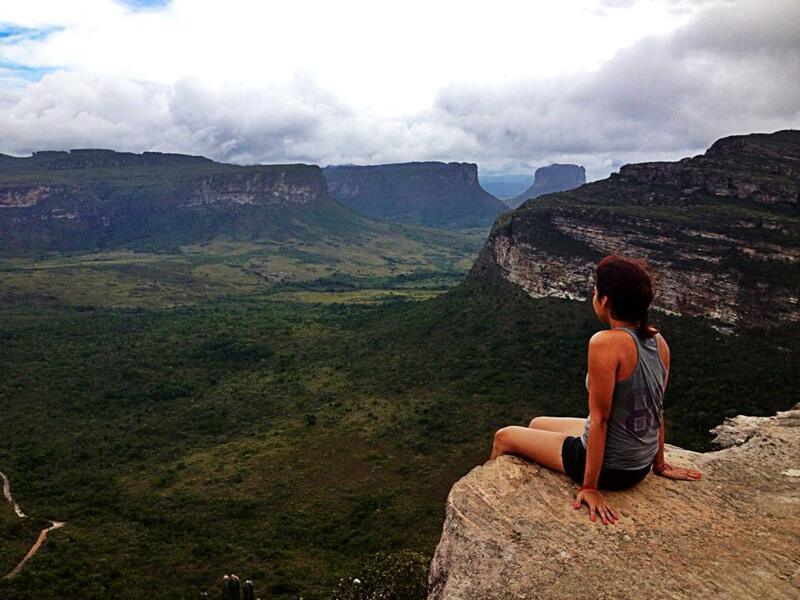 Chapada has it all! Waterfalls, rivers, lagoons, mountains, caves, more waterfalls. It is the first place in Brazil where I experienced feeling deeply connected with mother Earth. It holds a peaceful essence that made me feel like I could live there forever. Nuestro dia en Praia do Forte fue un dia tan especial y lleno de paz. We woke up one morning and hopped on a bus which took us to the town of Praia do Forte, about an hour and a half north of Salvador, Bahia. It was a gloomy day but there was instances when the sun decided to make its rare appearances. We spent the whole day relaxing on the sand, drinking coconut water, on a part of the beach that felt almost deserted. There were local fishermen fishing in the tide pools that form on the shore and children swimming enjoying the warm, clear water. I was completely mesmerized by the formation of this beach. I had never seen anything like it before. In order to reach the waves you have to walk over the reef for a few minutes but this is only possible if the tide is low. Lucky for us it was. As I walked across the reef to get to the crashing waves I thought "Wow! This is how Jesus must of felt when he was walking across water!" haha! Around 4 p.m. the dark clouds rolled in and the winds started to pick up. The reef gave off a gold shiny color while the waves and the ocean reflected an emerald green. As we started to make our way back to town, a beautiful rainbow formed out in the distance at sea. It is a moment I am so eternally grateful to have witnessed. My experience in Bahia was truly unforgettable but a trip is not only made my the places you see but also by the people you meet. I was fortunate enough to share this experience with three wonderful souls I had met during my first few weeks in Rio. George, Alex, and Geoffrey. Three individuals whom were interested in genuinely learning about Salvador, its people, its culture, its history, its lifestyle. We created a wonderful bond which enabled us to hold meaningful conversations and take care of each other. I hold each one of you close to my heart. Obrigada. The first time I listened to those words, I was standing in the middle of a crowd of what I would say felt like over 100,000 people during o Carnaval do Rio de Janeiro in 2013. The live samba sounds vibrated through all of our bodies making it completely impossible to stay still. People of all ages are out dancing on the ruas of Rio! Every so often beer started to rain from the sky but it was so hot and I was so preoccupied with dancing that I did not mind the beer shower. I was on the ultimate life high, participating in a cultural event that I had dreamt being a part of for years. There is more to Rio de Janeiro’s Carnaval than what we are accustomed to seeing from the outside; the extravagant floats and the women dancing samba in beautiful colorful costumes. I had that image so ingrained in my mind that I expected to see the women with those beautiful costumes dancing everywhere. Little did I know that there are many elements that make up this week long celebration. I was completely unprepared to say the least…. The history of carnaval extends back to the Portuguese colonization period. By the time the Portuguese arrived to Brazil in 1500, carnaval had become a tradition in different countries throughout Europe. The Roman Catholics began the tradition of carnaval as a special event which leads up to the beginning of Lent. It is told that Brazilians chose to rebel against the Catholic events but eventually adapted them as their own, adding different elements to make it unique to their culture. In the mid 1800’s, carnaval in Brazil began to change and it became the Carnaval of Brazil as we know it today. The most important element of this celebration, samba, was officially incorporated in 1917. Different towns of Rio de Janeiro began making their own carnaval samba songs and dances. From this stems the annual Samba School Competition with the first competition being held in 1932. 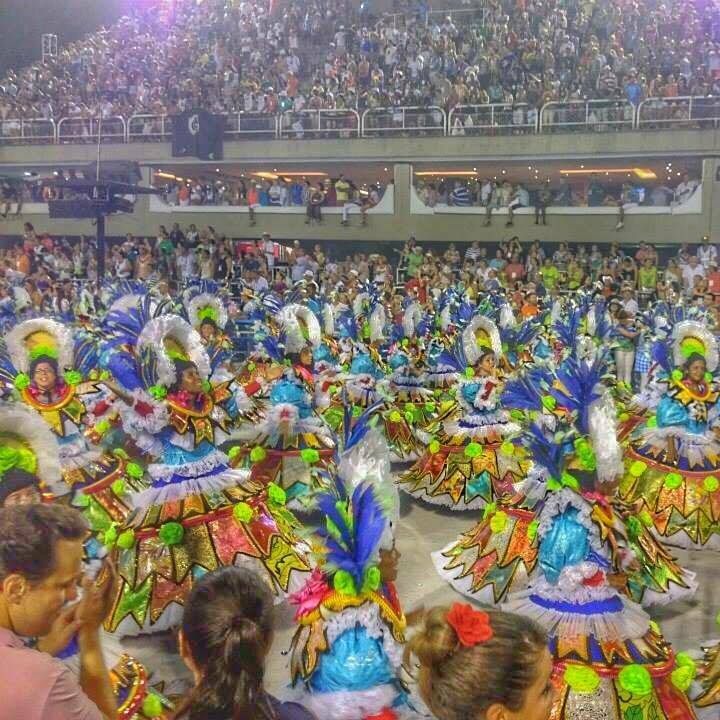 Every year the creative art form of the competition grew, leading to the Associação das Escolas de Samba da Cidade do Rio de Janeiro, which is the main carnaval organizing committee in Rio de Janeiro. 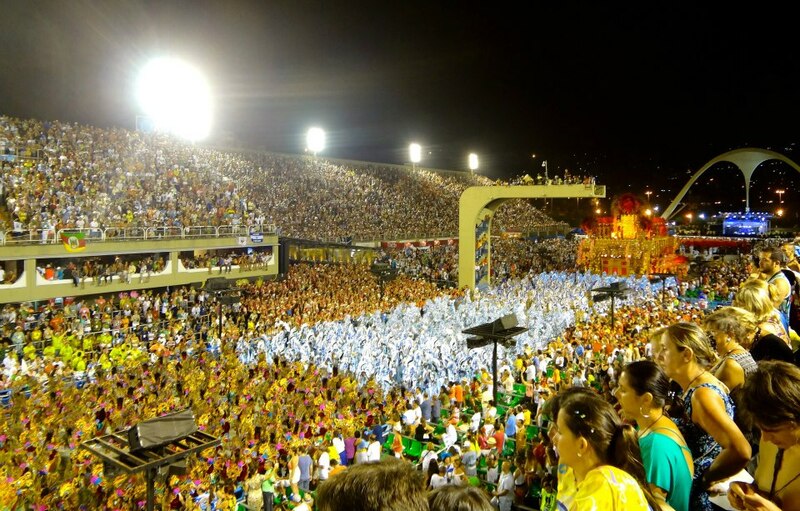 It is important to note that different regions of Brazil have unique elements to their carnaval celebrations, Rio de Janeiro and Salvador being the most popular ones. “Is it day? Is it night? What time is it? Today is Friday…? Cadê a minha dignidade?! Cadê as minhas amigas?! (Where did my dignity go? Where are my girlfriends? )” These are just some thoughts that Brazilians and visitors alike wake up to (thats if you sleep at all) during the week of carnaval. Blocos de carnaval de rua! The part of carnaval that I was not prepared for! Blocos are organized street parties which run from mid January through Ash Wednesday. However, carnaval officially begins on the Friday leading up to Ash Wednesday and has a duration of five days. About 500 blocos take place through out the city. There can be multiple blocos occuring at the same time in different locations and as soon as one ends, another begins. Some blocos can stretch for miles with as many as 400,000 people. It is 120 hours of non-stop samba, caipirinhas, cerveja, dancing and lots of beijos. Most of them have a theme or are well known for the samba band that plays. Some are more notorious than others such as; Monobloco, Bloco da Preta, Cordao do Bola Preta, e Banda de Ipanema. 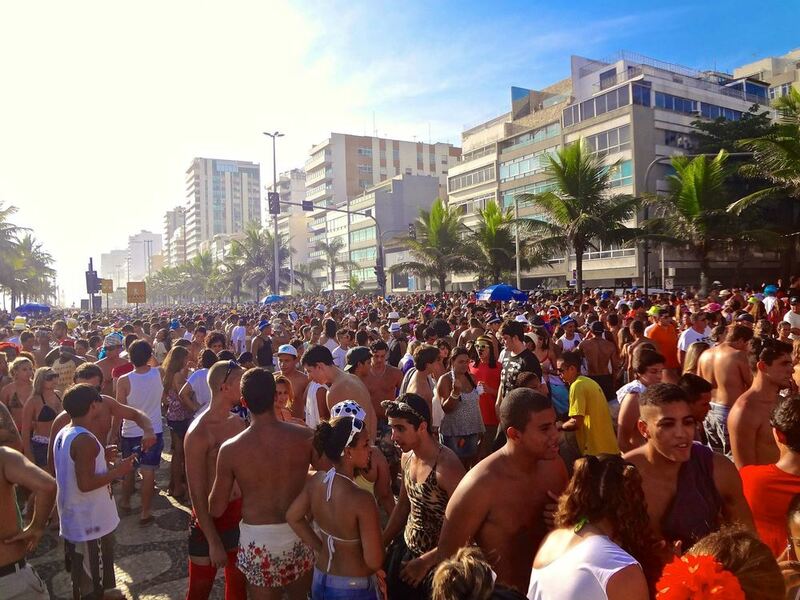 It has been recorded that nearly one million people show up annually to party at the Monobloco and Bloco de Preta block parties! I can only best describe a bloco as a mix between Halloween and New Orlean’s Mardi Gras. It is all too common to see Minnie mouse, a sailor, Where’s Waldo and a priest together on the metro on their way to the bloco in Santa Tereza. Interesting fact about blocos: the Brazilian dictatorship in the 1940’s had prohibited street block parties. As a form of rebellion Cariocas (term used to reference Rio de Janeiro natives) continued to have street block parties and began using costumes in order to avoid being recognized and jailed. O jeitinho Carioca never fails! The world famous Sambadrome was designed by Oscar Niemeyer and built in 1984. It is the official parade grounds where the samba schools compete. The parade strip stretches for about half a mile, with bleachers on both sides, where thousands of spectators from all over the world witness the competition. I was fortunate enough to attend both the samba school rehearsals and the actual parade. You have four nights to catch the parade, Sunday through Tuesday before the start of Lent. Tickets range from $35 to $400 depending on where in the stands you would like to sit and the night you decide to go. The main event of the parade is Sunday night and it is usually the one that sells out first. But don’t worry you will find many tourist agencies and people outside the Sambadrome reselling tickets if you don’t happen to find tickets on the night you are interested in going to. While some people may think the best seats in the house are too expensive, I believe it is worth the experience. This is the part of carnaval that we know about from the exterior. To see it all up close was magical! Every samba school has a theme and a parade song for that particular year. 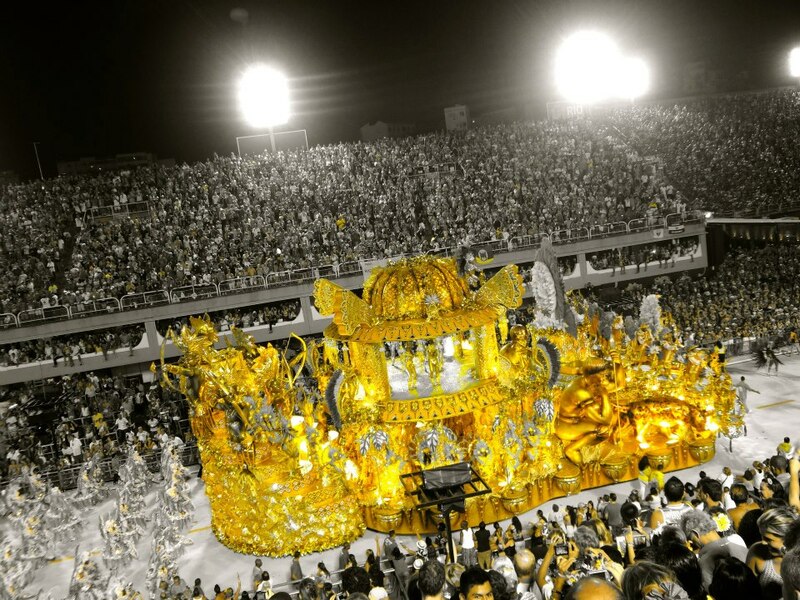 The samba school competition is a big deal in Carioca culture. Think about it as the Super Bowl of samba dancing and music. People in the audience are dressed in shirts and colors supporting their favorite school. The most popular schools being; Beija-Flor, Salgueiro, Mangueira, Vila Isabel, and Grande Rio. Everything about the parade is grand! The floats are each unique and colorful, which leave you in complete awe! If you appreciate the art that samba is, you will love the different choreography. The dancing during the parade is the best of the best! The infamous feather, glitzy, glammed up costumes that samba dancers wear are also quite a sight to see! The parade runs from 8 p.m. to 6 a.m. You will be having such a great time that you will not even feel the night go by! At the end of the parade spectators are allowed to parade with the last samba school on the runway. Parading down the Sambadrome runway at six in the morning, with confetti raining from sky, dancing to samba, and beautiful cheerful people all around me, is one of the dearest memories I have from my time in Brazil. 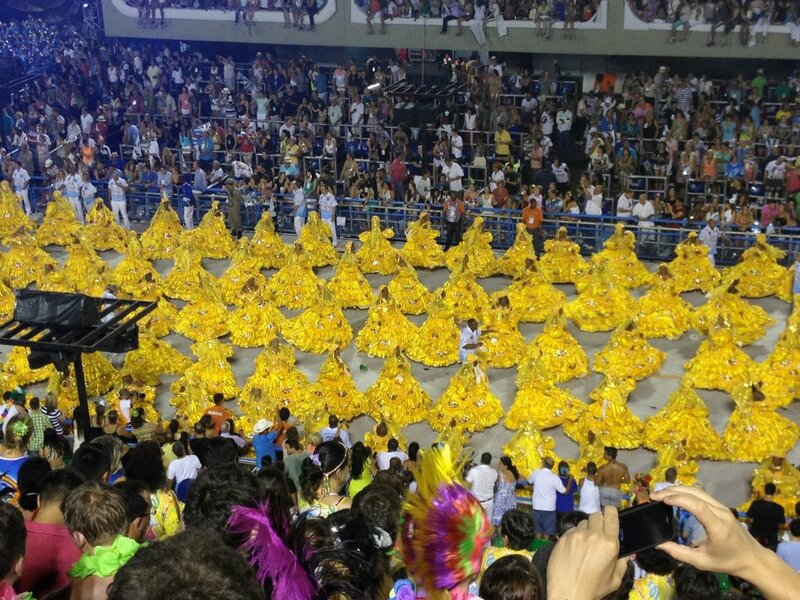 Highlights of Rio's Carnival 2014 parade from Mariana Guarini on Vimeo. There were a few things that caught me by surprise during carnaval. You could read all the tourist guide books in the world and you will still be unprepared for the craziness that takes place. For example the beijo tradition during blocos. There are no limitations to where and when its okay to have someone approach you and ask for a kiss. Brazilian men are known for their slogan “O Brasileiro nunca desisti” (Brazilians never give up) and this is fervently applied to their tactic in attaining a beijo from the girl of their desire. Once a man sets his eyes on you he will ask for “só um beijo” (just one kiss) and whether you chose to decline or accept, his friends will circle around you and yell, “Beijo! Beijo!” No worries you can run away or have your friends rescue you from the beijo trap. Not all Cariocas are avid supporters of carnaval. For some, carnaval is a month full of wild partiers running the streets rampant creating chaos and adding to the already severe traffic congestion and waste issues. Brazilians are very prideful of their country, so I would best advise anyone considering participating in any future carnaval festivities to please treat the land as if it is your home. This means, reframe from littering, urinating on the street or in the ocean, etc. Brazilians also appreciate when you take time to have conversations with them, even if your Portuguese is not up to par. Learning the basics will get you through questions, simple convos, and reading directions. Try learning a few words! It is a beautiful language! As experienced carnaval goers we would like to provide you with some safety tips. In the midst of all the fun it is also important to be precautious. Amongst the masses, its very easy to turn around and realize you’ve been seperated from your friends. Most likely, your cell phone service won’t work and who checks their phone during carnaval anyways? Always make sure to keep a buddy system. Agree on a strict “we came together, we leave together” policy. It is very easy to get caught up in the festivities but make sure to establish a meeting point in case someone is separated from the group for more than 20 minutes or so. I vaguely remember one of my Facebook statuses reading something like, “I’m dehydrated, sleep-deprived, malnourished and I’m bruised. #day3 #CarnavalRiodeJaneiro2013”, along with a picture of myself in a cheetah costume. I’ve never been one to skip a meal, but you might be surprised to check the time and realize its 3pm and you haven’t eaten all day. Thankfully, blocos provide street food vendors every 3 yards or so. Make sure to carry enough cash with you to cover transportation (bus fair and taxi rides), snacks, water and drinks. In fact I advise to carry cash only but do not just spend all your money on latrãos de Brahma (beer) and water guns. I know you will be tempted to Snapchat or Instagram all of the highlight moments to your envious friends back home, but pick pocketing is pretty rampant in Rio and something you should be extremely cautious about. Lets take note of the fact that Brazil sells the most expensive iPhone in the world. An iPhone 6 can easily sell for about 4,000 Reis (about $1,000 US) therefore they are a hot item to steal. Its not a very pleasant feeling to reach into your pocket to take a selfie with "Che Guevara" and realize your phone is gone. Rio is notorious for its assaltos (assaults) but like any other place in the world you may visit, the rule remains the same, be a smart traveler. Do not carry things you do not wish to get stolen, do not wear flashy jewelry, do not walk alone in dark streets, and do not be obnoxious on the streets. You will stand out as the gringo that is bebado (drunk), and be the easy target for an assaltante (thief). With all that said, if you are headed to carnaval this year (or whenever it may be), if we are not there and you are, we envy you. Pero es envidia de la buena! Carnaval in Rio de Janeiro is like no other carnaval in the world. Cariocas are naturally very laid-back, happy people whom are the ones that make the whole experience even better. Enjoy the fresh caipirinhas, the beer, the music vibrations, the dancing, the colors, the complete feeling of being alive in such an amazing cultural event! MONOBLOCO - 2013 from CHAMON on Vimeo. Enjoy this video of the popular Monobloco Bloco! Te siento en mi todos los dias. 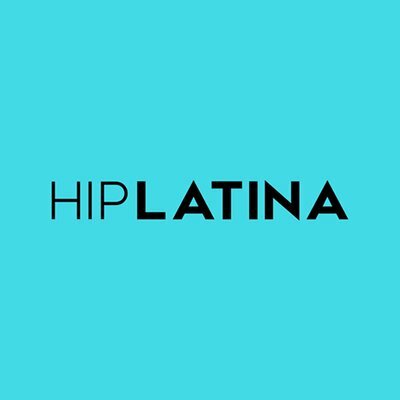 Siento tu felicidad y tu tristeza. Siento tu mirada en mi ser. Siento tu amor, sigue en cada parte de mi.